Have you ever considered growing vegetables? 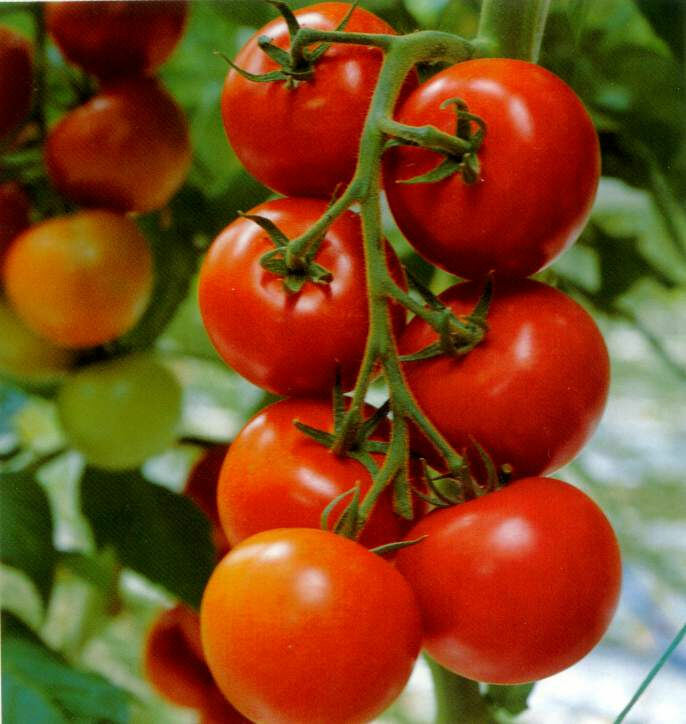 If you haven’t eaten a tomato straight from the plant then you have no idea of how wonderful they can taste, and how much they suffer from being sold in supermarkets, both by being transported over very long distances and by the varieties chosen to ensure a sufficiently long shelf life to be economical. The same is true of virtually all vegetables. Supermarkets had taken us into a world where the seasons do not matter – you can get almost any vegetable at any time of year. If you grow your own then you will go back into the world of seasons. You learn to look forward to the vegetables as the plants are growing, appreciate the produce when it is in season and move on to the next group of flavours when the season is over. If you wish, some vegetables can be preserved to extend their season, sometimes in another form, dried, frozen or made into chutneys. An additional benefit of growing your own vegetables is that you know exactly how they have been grown and which chemicals, if any, have been used to help them grow. As the saying goes – “You are what you eat” and this way, you will know what you are eating. For years, I didn’t grow any vegetables as I was concerned about eating them when they could have been subject to “canine intervention”. However in the last few years, the growing of vegetables in containers has been heavily promoted and I have found this to be the way to grow vegetables when you have dogs and don’t want to risk your produce becoming “polluted”. The range of containers that you can use is huge. They can range from hanging baskets for trailing tomatoes, through the normal range of pots and containers that are usually used for flowers to dustbins and other large containers for crops that need more soil such as potatoes and root vegetables. Anything that can hold earth can be used, all you need to do is to ensure that there are drainage holes to avoid water collecting at the bottom and you are ready to get going. Examples can be found that range from old wheelbarrows through metal oil containers to old wellington boots. The choice is yours, let your imagination run riot, but try to choose something that fits in with the style of your garden, particularly if it can be seen from the house. Vegetables really have to be grown from seed. It is almost impossible to find plants in garden centres, and if you do then there will be very little choice of vegetable and especially virtually no varieties to select from. Most seed merchants have a special section in their catalogues for vegetable seeds that have been developed especially for patio containers, but if you have space for larger containers you don’t have to be restricted to these varieties which have been especially developed for growing in confined spaces. An additional benefit of growing vegetables in this way is that you can still grow them if your garden has acidic soil, which most vegetables can’t tolerate, or is very stony as you can create the perfect growing situation in your containers. Most people start with tomatoes which are technically a fruit, but most of us use them as vegetables, so bear with me. They are easy to grow. Like all vegetables they require a lot of water and need a little care and attention to ensure that the plants energy goes into producing the fruit and not allowing the plant to just keep growing bigger and bigger. Think of this as being a little like keeping your dog’s coat in peak condition, all you need to do is a little tweak here and there, it takes just a few seconds a day. I find that four plants, one each of cherry, plum, beefsteak and the more normal “tomato” size are sufficient for two people who eat a fair number of tomatoes, but adjust this as suits your family. Assuming you have grown your tomatoes from seed, this means that you will probably have a lot of spare plants. It can often be a good idea to get together with friends and share your plants around. Once you have got your feet wet and fallen in love with the benefits of growing your own produce, then you can expand your horizons. You have a wide range of vegetables to choose from and most of the varieties are ones that you will never find in the supermarket. Obviously you should select vegetables that your family enjoys eating, but don’t be afraid to experiment and try new things – you will probably find that the home grown vegetables are so different from those you can buy in the shops that you find that you like things that you hadn’t previously considered. If you are feeling a little more adventurous, you might want to try unusually coloured vegetables to delight or confuse the people eating it. Your meals can look as well as taste wonderful when you take your pick of purple sprouts, yellow carrots or white aubergines. Be careful about how many of each plant you decide to grow, or ensure that you have sufficient friends who are happy to help out if you have a glut at harvest time. When you are selecting your choice of vegetables to grow, remember that dogs enjoy many vegetables too. My dogs line up for a carrot and once they have eaten it, they race back to find out if any more are on offer. However, please remember that large amounts of onion can be toxic to dogs. When you realise that it is possible to grow vegetables when you have dogs, you will be rewarded with wonderful tasting vegetables and have the additional benefit of saving money and the trip to the supermarket. I didn’t think our small garden,complete with lively Welsh Springer, was big enough for a veg plot,so we’ve taken to growing our veggies in containers.We’ve had great success with new potatoes, carrots(including purple carrots and small round varieties),courgettes, salad and cherry toms. The children love helping with the planting, thinning, watering and harvesting and the dog is free to wander without me worried that she’ll damage the plants in anyway. Win, win I’d say. Oh and the taste of carrots fresh from the soil is sublime! Haven’t tried carrots Sally, think they will be on the list for next year :).